Well, yes, the title sounds very in­tricate and complex but the sub­ject is as well. I have been internalizing this con­cept and relating to my industry and specialization – Talent, Leadership, Learning & Development. And in do­ing so, have come across many syner­gies. Have the innovations in the education, learning and the training sectors disrupted the status quo significantly? Learning solutions have moved from being Content- Centric to Learner-Centric. Content design began with Instructional design, based on the Kirkpatrick Model, which evolved into Multi-Simulation game-based E-learn­ing, which in turn has transformed into Cloud-based da­ta-intelligent interfaces today. A couple of weeks ago, I met some vendors for a new E-Learning platform. Some of their demonstrations were quite fascinating. I saw a strange combination of fun-&-learn and game-therapy. At some points during the demo, the system struggled to create a connect with me, it made me uncomfortable and challenged my opinions. "Learning solutions have moved from being Content- Centric to Learner-Centric. Content design began with Instructional design, based on the Kirkpatrick Model, which evolved into Multi-Simulation game-based E-learning"
This led me into thinking about the learner audience at large. The complexity of this ‘disruptive’ platform may excite the Millenials, but will it also encourage the B oomers o r G en X-Y? A m ajority o f our working community is Gen X & Y, which look for more of nurturing based development platforms. A majority of our working population will be the Millenials very soon. How much to re-create? How much is enough? The 70-20-10 principle of Adult learn­ing creates its own space in this con­text. This piece of research did force the L&D function to look at learning patterns and effectiveness of learn­ing channels from a whole new viewpoint. It moved the ownership developing people to the Manager.I have come across multiple organizations struggling to bring the 70-20-10 to life and struggling with the essence. Building workforce capability now relies on Manag­ers! In this light, we can see Managers adapting as suc­cessful people developers as well as process managers. employees’ success, the respective department’s collec­tive achievements and ultimately his/her own success as well. This led me into thinking about developing the Manager’s capability to play this new role. Without a fo­cused approach and reasonable bench-strength in this area a comprehensive 70:20:10 strategy may prove futile. Can we allow this excessive dependence on a line manager to drive our Learning Strategy? A re our man­agers equipped enough with the tools and methodologies of learning? How much to Co-create? Where to focus? Speaking of the new ‘spice in the kitchen’ – The Blended Learning approach. Unlike other transformation efforts, however, the disruptive potential of blended learning does not depend on an Organization’s capability to im­plement it or judgments of the learner. The process of disruptive innovation weaves in change not necessarily through deliberate restructuring, but through organic transformation. 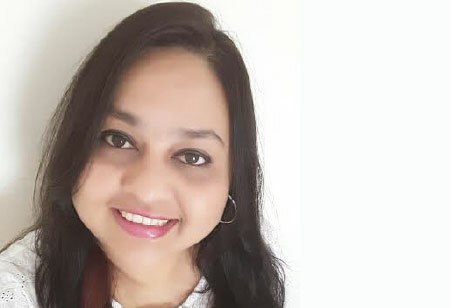 In the education sector, the initial approach of blend­ed learning got its fuel by offering newer knowledge platforms for students who needed advanced modules, add-on courses, or learning opportunities in tough cir­cumstances. Today, as blended learning continues to make its space in the learning domain, it makes an in­creasingly convincing case to parents, teachers and stu­dents that this approach is more effective and realistic than traditional classrooms at addressing their real-life-like challenges. Thus mainstream adoption of blended learning will come not a Government mandate, but from persuading the people who work at the ground level in education. I am happy to see Toddlers playing with clay and make weirdshapes ! When I sent a batch of Vice Presidents to learn-build-sell hand made earthen pots, as a part of their session on Leadership Values, little did I think that it would end up as a life-transforming experience for many! Living with the Potter for a full day, dirtying hands on the wheel and then ensuring a profit on hand-made product wasn’t easy after all. On a similar note, one of my leadership interventions was on Building In-House Entrepreneurs. This batch of middle level managers were asked to spend a day with a local grocery shop (The Kirana Store as we know in In­dia). The task was to observe-do-help-provide-serve-bill. The exhaustive de-briefing session got rich experiences and insights to the surface – no classroom session could probably have. Is learning blended enough? Are our faculties ready enough? • Learner Centric – Challenging the traditional roles of a teacher-student. Learner is the owner of information, data and the decision maker; and will create combina­tions of methodologies and content. • Much more Media driven – Driven with Persistent and highly-consumable knowledge sources that allow easy revision of content and curriculum, delivery methods and resources. • Inter-dependent learning – Increased interactions with the Social communities, Student bodies, Communities of Practice and the ‘external’ World. • Knowledge – Transfer friendly platforms - With mo­bile apps flooding the market and a ‘go-live’ sharing, the learner will prefer easily adaptable, transferable and con­venient channels. The disruptions happening throughout the Learning Industry offer us many opportunities to challenge our thinking-patterns. An opportunity to look back at how we cultivate our employees’ development and careers -and hopefully build a way to channelize it in a better way tomorrow. This not destined either, of course, and will depend on many more creative solutions and mod­ern techniques that crop up. However, this is definitely a calling for L&D, Talent and Leadership souls to re-think of this approach.